A gradual tanning milk for shower use. It intensively moisturises and smooths the skin. It contains precious oils from argan and buriti nuts thanks to which the skin gains a more beautiful look and a healthy glow. 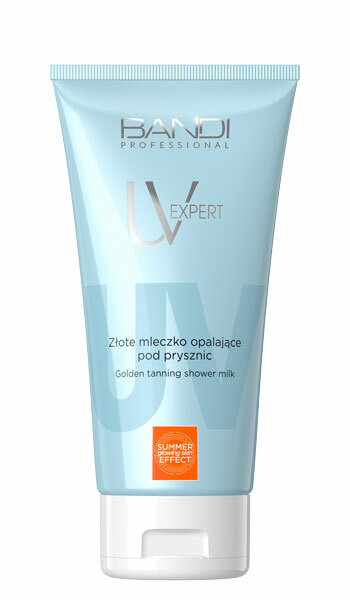 The golden micro-particles leaving a gently shimmering effect on the skin, make self-tanning a luxury beauty treatment. Application is really easy and the skin is left with a fresh and pleasant smell. The unique formula allows to grade the colour depth, streak-free. UV EXPERT is an innovative line of specialised products to ensure the skin of your face and body is nurtured throughout the year, including self-tanning and exposing it to solar activity. It protects the skin not only against solar radiation (UVA, UVB, IR) and that emitted by artificial lighting, but also against free radicals and environmental contamination while leaving it nourished. It enables the natural process of vitamin D3 synthesis and allows you to enjoy healthy skin and a summer skin tone throughout the year! Absorbs the most harmful spectrum of visible light: blue light emitted mainly by artificial light sources (computers, TV screens). Works like -safety goggles-, protecting against negative effects of radiation. Prevents photoaging of the skin. Infra-red (IR) filter – knotweed extract. Protects the skin from the negative effects of infrared radiation. 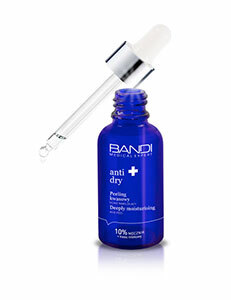 Prevents premature skin aging and blood vessel damage caused by raised cell temperature. Light-activated vitamin D3 precursor. Necessary in maintaining the biological balance between UV protection and the bodys need of vitamin D3. Use every day until you get the right colour depth of your tan. Apply twice a week for a lasting tan.